Lot Detail - 1827 Bible Atlas. 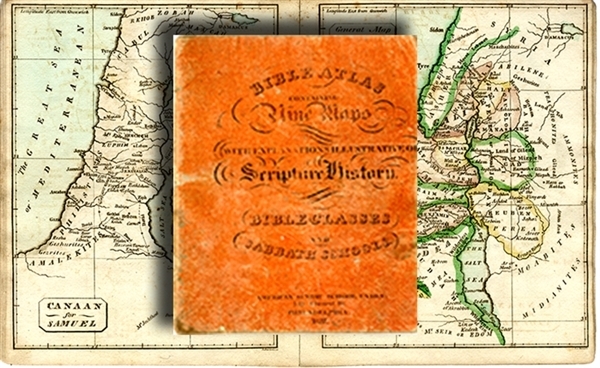 Book, “Bible Atlas Containing Nine Maps with Explanations and Illustrations of Scripture History.” 1827, Philadelphia. Handtinted maps. Fine condition.